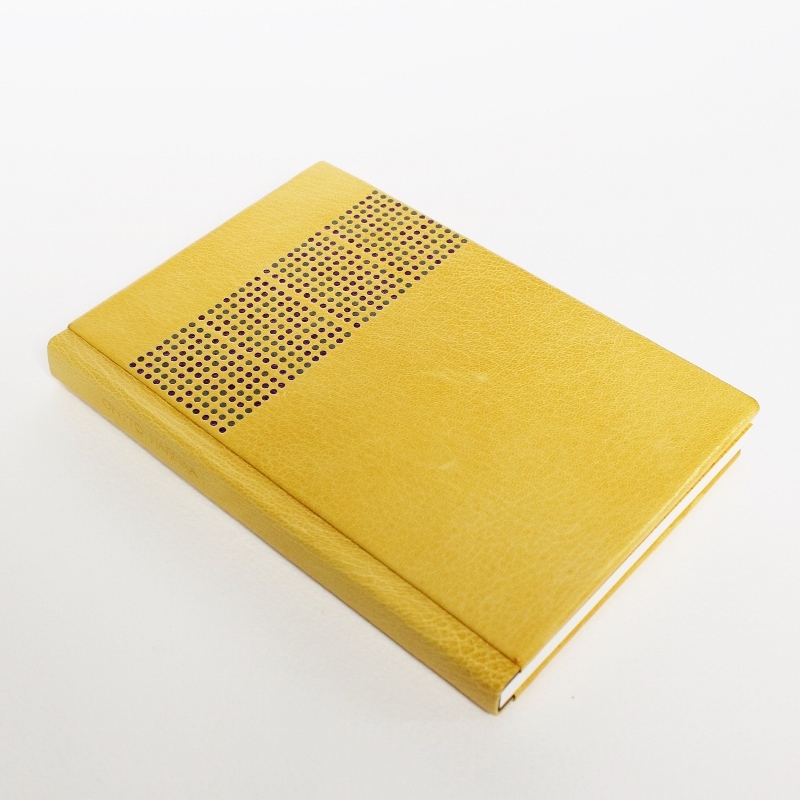 I'd rather spend eight weeks making a fine binding, but this one I ended up putting together in eight days. My usual approach to this kind of projects is to work on them on and off, ponder and wonder, make some mockups, and really wallow in the state of undecidedness. Needless to say, that's not how this went. I had planned some details ahead of time and gathered the materials, but I was missing the pages until Monday last week. Along the way, some progress photos were posted here, some on Instagram. As usual, the perfectionist in me is still stuck on some little things about the finished binding, but overall I'm really, really delighted with how this book turned out. 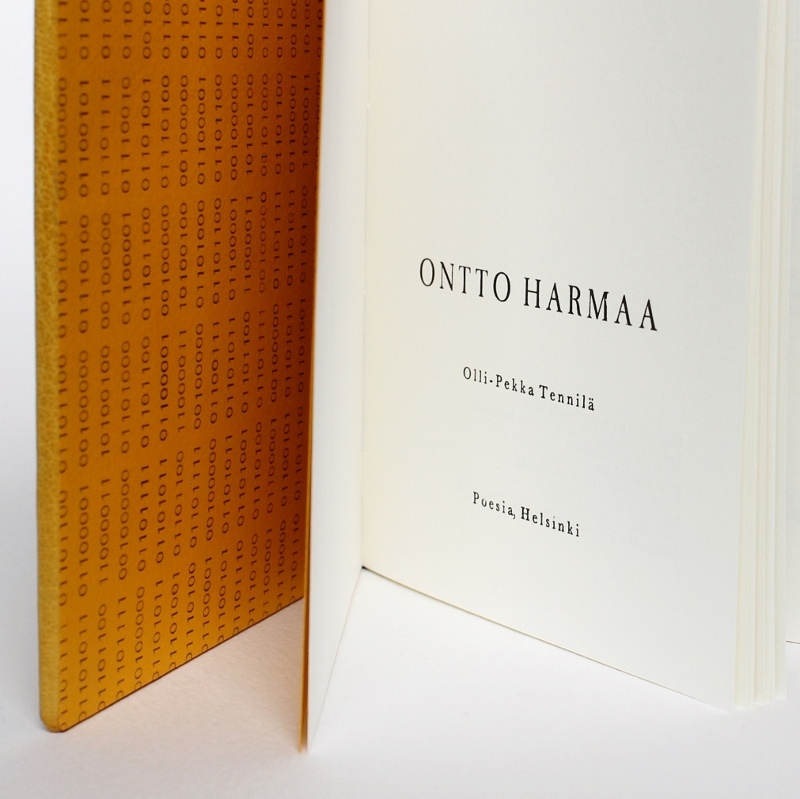 Ontto harmaa is a really special book. It's a book of poetry written by my friend Olli-Pekka Tennilä, but it's also a book that was printed using a linotype machine and a Heidelberg letterpress. It's extremely rare I get to bind a book where the hours spent producing the physical text on the pages are in any way comparable to the hours I spend making a decorated leather binding for it. I also happen to like the book, which helped me not curse as much while binding it. Ontto harmaa translates as hollow grey, but grey was never a color option I considered for the covers. It wouldn't really fit the book, and it would be really problematic to decide what type of grey exactly is a hollow grey. Another very conscious design decision was to have the dots be of relatively similar colours - dark blue grey and dark purple. The contrast between the two is small, and depending on the lighting, the colors almost blend together, or create something I can best describe as visual vibration (enhanced by the not-quite-perfection of the rows, which turns the binary code into something a little more human). And such is the nature of poetry, sometimes things blend together or turn into something else entirely. After this intense week of working with leather, I'm at once glad to return to working with linen and eager to return for another round of Ontto harmaa fine binding due spring next year.